You are here: Home / DC Comics / Is An LGBT Superhero Film Far Off? Comic book fans had lots to rejoice about yesterday when Marvel Studios announced its upcoming slate of new films. In addition to sequels for the critically and commercially successful Captain America and Guardians of the Galaxy films, Marvel is making history with its first film led by a black superhero, Black Panther, and its first anchored by a female, Captain Marvel. It’s just the latest move coming out of comic book culture, where publishers have been redefining mainstream heroes as a more diverse bunch. Many of the familiar (straight, white, male) characters — most of which got their start decades ago — are being joined by a growing number of heroes that reflect a richer representation. 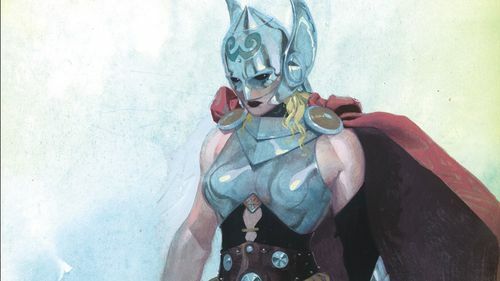 In addition to the female Captain Marvel, Marvel’s also recently started publishing series focusing on a female Thor, a black Captain America and a wildly successful book based on a Muslim American teenager, Ms. Marvel. This surge in inclusivity extends to LGBT characters as well. From lesbian crimefighter Batwoman to young mutant Benjamin Deeds, there’s a growing number of queer mainstream characters that could become the next Batman, Wolverine or the Flash, conquering the box office or leading a television series. With this momentum on and off the page, could it be long before we see an LGBT superhero take the spotlight on the large or small screen? Before this recent push from big publishers, Jarrett and his group saw the need for a greater queer presence in geek culture when they launched their first booth at New York Comic Con in 2011. That doesn’t mean gay characters have been completely absent from mainstream superhero comics (and certainly not from indie comics, which, like most media, tend to be more progressive than their larger counterparts). The first major mainstream character to come out at Marvel was the fast-flying mutant Northstar, when he proclaimed “I am gay” in 1992’s Alpha Flight #106. (The Comics Code, a collection of guidelines many publishers followed through the early 2000s, actually banned references to homosexuality until 1989.) For years following his coming out, Northstar’s sexuality was barely focused on, and he wasn’t portrayed in a healthy, loving relationship. Northstar would make headlines again in 2012 when he married his partner Kyle Jinadu, a relationship that began in 2009. Although Northstar has been a trailblazer, many of the best depictions of queer characters in comics have come courtesy the genre’s younger heroes, such as X-Men’s Anole and Graymalkin, Karolina Dean of The Runaways and Bunker from Teen Titans. 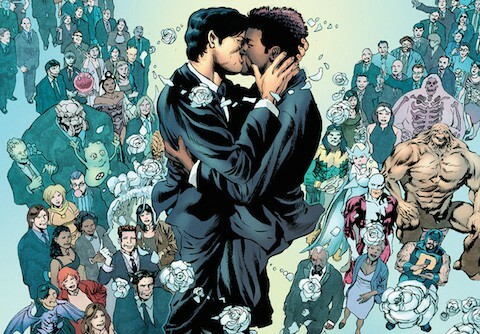 The most critically acclaimed LGBT comic book darlings (and, if Tumblr is any indication, our best hope for a successful live-action adaptation), however, are Wiccan and Hulkling of the Young Avengers. The relationship between the gay teen couple has long functioned as the fulcrum on which the Young Avengers’ emotional stories balance. 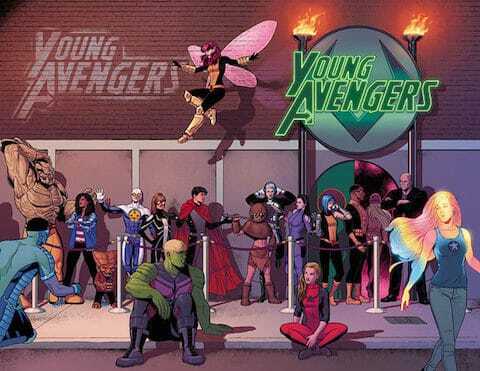 They’ve made out, broken up, made up and saved the world — just like any other superpowered couple in comics — but their most recent run in Young Avengers has garnered particularly rave reviews from readers and critics. It’s an approach that’s resonating with fans. There are still some, like blogger Nathan Tabak, who want to see more focus on queer characters’ sexuality. We may still have a while to go before we see Northstar, Wiccan or Hulkling fronting a feature film, but, as more and more comic books are turned into television series and blockbuster movies, it’s promising to see this conversation continue among fans. What was the first LGBT superhero you’ve encountered? Do you have a favorite?